I Finally Did It. I’ve Moved! So can you help me by doing these two steps? Most of you know that I wrote a blog post when I retired OrangeDragonflyBlog.com and reclaimed my name Kristi Trimmer as my main blog and as my social media name everywhere instead of dragonflytweet. What you didn’t know is that getting things changed over at Facebook has been a bit of a pain. They don’t make it super easy when you have more than 200 Likes on a page. Alright friends this is where you come in, I need your help. I want to merge my two pages together and have just one. BUT I can’t do it the easy way. 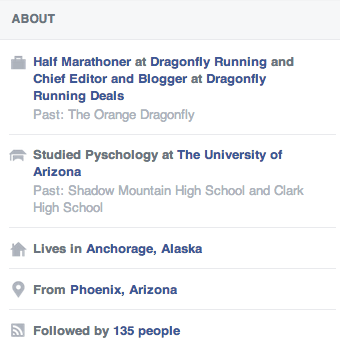 I need to increase the number of fans on Dragonfly Running and decrease them on Dragonfly Running Deals. If you want to follow me on all the social, here are my other profiles. Oh, and for those of you that don’t know yet, I made it Facebook Official today. Can you tell what changed?